This relatively new series specializes in World War Two military soft-skinned and armored vehicles. Although smaller in size than 1/35th scale, these kits still offer excellent detail and are perfect for those who wish to incorporate 1/48th scale aircraft and vehicles in dioramas. Large scale war gamers will also find that 1/48th scale works well with 25mm to 27mm figures and even model train enthusiasts can use this scale to compliment any O-Gauge military themed train diorama. 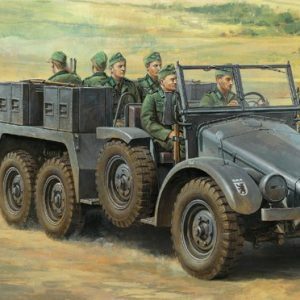 What ever the preference, 1/48th scale Military Miniatures offer modelers a world possibilities without sacrificing detail.